They played parts of three seasons together but none more memorable than 1992-93 when Selanne set the rookie record for goal scoring at 76, a record that may never be broken. 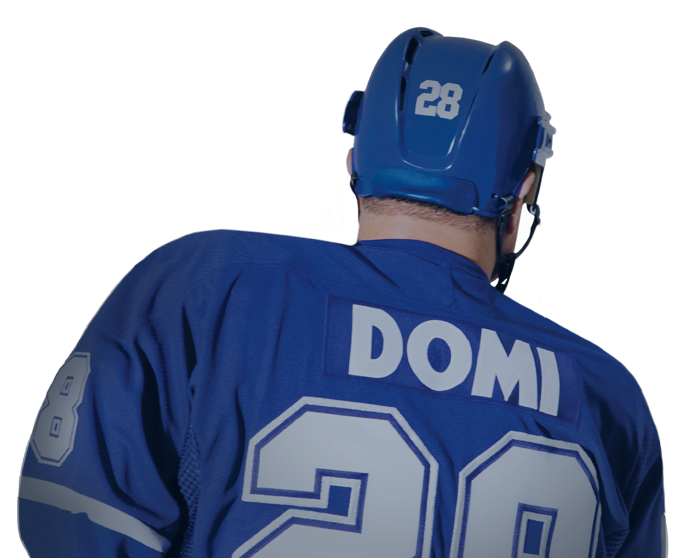 Domi has a record of his own, too. His 333 fights over his professional career are the most in NHL history. 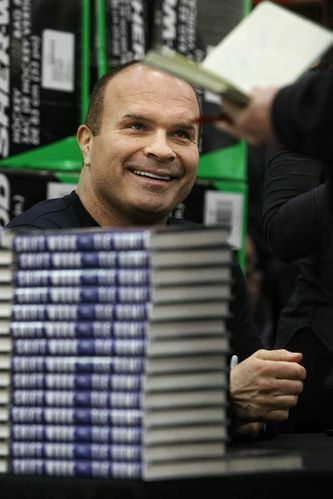 He is on a book tour in support of his autobiography, Shift Work. FP: A lot of former players have trouble adjusting to life after their playing careers are over. You’re doing some commercial work and you’ve written a book. How did you make the transition? TD: I lost my father at a young age during my first year in the NHL. He said to me, ‘If you break your leg, what are you going to do? You’ve got to do something else.’ That following year I got into business. I wore a lot of different hats in my career. (Business) was a medicine to me, just like sports was my medicine when I went to school. The role I played in hockey, being involved in business throughout my career took my mind off the ultimate thing that I had to do, which was fight most of the time. After I retired, I learned what my strengths were. If I’m going to consult for people, I’ve got to trust them. I don’t want to be around people who I can’t trust. Life’s too short. I like to be around positive people and people I can trust. FP: Who do you work for? TD: I consult for a few companies, including Element Financial and Ingersoll Rand, and it’s a lot of fun. I help them with introductions, getting people to help them grow their business. I try and bring value. I don’t introduce anybody to anybody. I’ve got to trust people on both sides. I’ve been through too many experiences where I’ve learned from my mistakes. FP: Do you lose track of the number of charities that you support? TD: My main charity now because of my son, Max, is Juvenile Diabetes Research. (Max plays for the NHL’s Arizona Coyotes.) I’ve been involved with Sick Kids Hospital (in Toronto) since the start of my career. They have a rehab wing named after me. FP: What are your favourite memories of playing here? TD: The people of Winnipeg were pretty special. The relationship I built with Teemu since the day I got there was pretty special, too. We were tied at the hip at home and on the road. It was an amazing experience. We’re still good buddies and now he’s a good role model to Max. Max had him and Mats Sundin and Mario Lemieux and Mark Messier and Doug Gilmore around to learn from. Thank God he took their path instead of mine. FP: Everybody remembers when Selanne broke Mike Bossy’s record and then celebrated by pretending to shoot his glove out of the air with his stick. Many people probably didn’t realize that you got the assist on that goal. TD: I don’t know if you’d call that an assist, it was a flip pass. I played with him the odd time and I would always flip the puck. He was so fast. He loved those foot races and he scored a lot of goals that way. I know I won’t be in the Hockey Hall of Fame for having the most fights in NHL history but I’ll be in there for assisting on Teemu’s goal, which is pretty cool. FP: What do you remember about it? TD: I almost got in a fight and then I saw Teemu going. Tony Twist hit me after I flipped it and I was getting ready to fight him. Then I saw Teemu in a foot race and I looked and I thought and I looked and I thought and then when he scored I dashed towards him. When he threw his glove in the air, he had told me he was going to do that, it was pretty funny. Unfortunately, we ended up losing the game. Mats Sundin was on the other side and he reminded me about that game forever. Still does. FP: That team was a mini-United Nations with players from Finland, Sweden, Canada, the U.S. and Russia. How did you fit in with them? TD: I had a team party the second day I was there. I had a hot tub brought in and the Russians were all in the hot tub. We had a bottle of vodka going and we had a great time. We learned how to swear and sing with all of those guys… It doesn’t matter where you’re from, everybody has a job to do. When you treat everybody like family, you get better results.